The focus on keyword-based search engine optimisation is dying quickly, as we’re witnessing the resurgence of long-tail keywords. Keywords once meant everything to a campaign; Google collected data about a site solely based on the keywords that were present on its pages and in its links, and companies could measure their success based on how they ranked for their target keywords. It was a simple, one-to-one relationship that made it easy for almost anybody to start stuffing and ranking. Fortunately, those black hat practices have mostly died off, but there are still many search marketers who hold keywords in high regard. 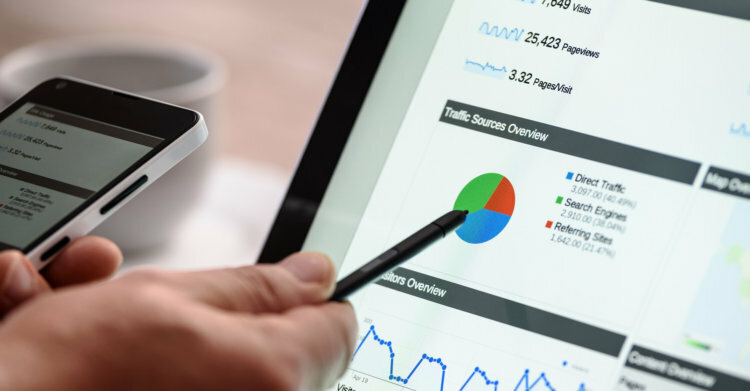 It’s true that looking at your keyword rankings can still give you some indication of the health of your campaign, but the relationship between keywords and search visibility success has become much more complex, and there are too many other onsite optimisation considerations to ignore. To illustrate the dwindling significance of individual keywords, I’ve put together this analysis of onsite optimisation factors that matter far more than keyword presence. Keywords aren’t totally dead in the water — after all, Google still needs some kind of text to figure out what it is your company actually does. In that sense, you could say that keywords are simply informational titbits for Google’s analysis, rather than having a quantifiable relationship and impact on your actual rankings. To this end, the placement of your keywords matters far more than their frequency. Posting “auto repair shop” once in the title tag of your site and once in the header matters far more than stuffing it five times into the body copy. Google breaks your site down into key areas, with meta information and headers taking top priority, body copy taking secondary priority, and side bars and footers taking the last priority. It’s important to have some description for your company in those high-priority areas — the meta data and header — but you shouldn’t necessarily hone in on one specific keyword phrase. Otherwise, your site could grow repetitive, and earn a penalty instead of a high ranking. This feature perfectly illustrates why keyword specificity is dying. When Google scans your site for information, it no longer pulls out the keyword phrases it thinks are relevant and pairs them to user queries. Instead, there’s an intermediary step. Google interprets the data on your website, and begins to form its own conclusions about what your site and your business really deliver. If that seems a little spooky to you, you aren’t alone — Google is becoming exceptionally sophisticated. As an example, according to Google’s own research, deriving meaning from the synonyms of keywords accounts for up to 70 percent of searches. That means it doesn’t matter that you used the phrase “auto repair shop” exactly several times throughout your website. You could use “auto repair shop,” “car repair specialists,” and “vehicle repair facility” on different pages, and Google could theoretically put you in the exact same category. Therefore, it’s far more important to optimise your site for a specific meaning rather than a specific phrase, and you can likely forget about keywords altogether in an effort to post relevant content and naturally build yourself as an authority in a given space. Semantic search is another increasingly creepy functionality within Google that’s starting to have a major impact on user searches. Just like Google derives meaning from the words on your page, rather than focusing on the words themselves, Google derives meaning from user searches through “semantic search.” Released as part of the Hummingbird update back in 2013, semantic search has been an indispensable feature for any user trying to find an answer to a specific question. To illustrate the idea behind semantic search, imagine a search query for “cheap tacos in Omaha.” If search engines dissected this phrase based on keywords, it would look for any site with the words “cheap,” “taco,” and “Omaha” in them, which could populate anything from taco restaurants, to stores, to festive gatherings that happened to feature tacos. Instead, semantic search interprets the meaning behind the search query — the user is likely looking for an inexpensive taco restaurant around Omaha — and then searches for companies that might fit that description (again, ignoring keywords in favour of the meaning behind them). As long as your content makes you seem like an inexpensive restaurant and your location is listed as near Omaha, you could show up in the results — even if you don’t have that exact phrase on your site. There are two ways to look at structure in the SEO world, and both can have a massive effect on your page authority. Big-picture structure refers to the overall structure and navigation of your site. If your site is easy to navigate, your users will have an easier time finding the information they want, and Google will reward you for such user accommodation. Title your pages appropriately, use a header bar to make your site easy to navigate, and make sure there’s a crawlable sitemap that lays out your site as a whole. It’s also a good idea to interlink your internal content by connecting many of your internal pages to one another — the shorter the path from any one page to any other page, the more authority you’ll gain in your site, regardless of keywords. Small-picture structure is more about how each of your pages are laid out. If you adhere to Google’s traditional structure of having a header, body, sidebars, and footer, and you place appropriate content for each section, Google will have an easier time scanning your page, and it will be able to derive the accurate meaning behind your site without you worrying about including specific keyword phrases. You probably already know that there are several structural factors that can affect your site’s authority, regardless of your content. For example, sites that load quickly rank far higher than sites that lag — so make an effort to clean up your cache, vet your plugins, and make changes to improve your site speed wherever possible. Having SSL encryption also provides a ranking boost, and though it is currently slight, it’s likely to increase in the future. The bottom line here is that user experience matters just as much to Google as keyword relevance ever did. Work to make your users happy, and Google will reward you. Google also provides some very specific markup formats for various categorical entries on your site, such as events or places. These markups, such as those found at Schema.org, help Google to easily process and understand specific types of information on your site. It can then use those entries to display accurate information in its Knowledge Graph, giving your site more visibility without a basis in keyword relevance and giving users more direct answers to their questions. As you can see, keywords are almost obsolete as an element of SEO. Onsite optimisation includes far more than just keyword optimisation, and even keyword interpretation relies more on Google’s sophisticated understanding of human language than it does on your specific word choices. Give your users a great experience, publish accurate and relevant content, and you should have no trouble climbing the rankings quickly. No Comments on Are Keywords Relevant to SEO in 2015?